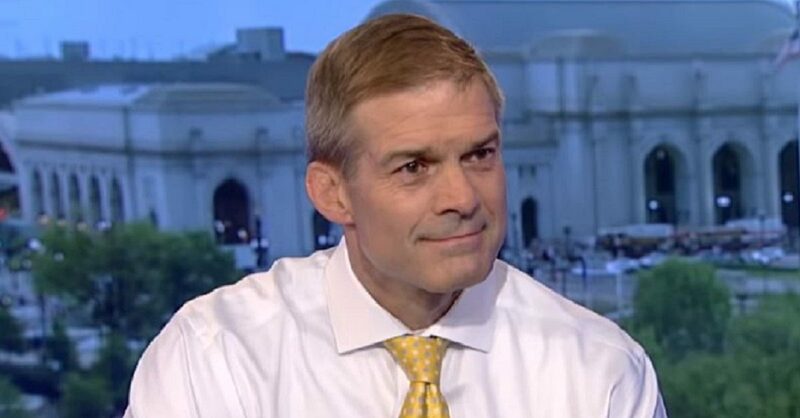 Jordan told Neil Cavuto on Friday “I would say the two biggest promises made to the American people that we didn’t get done were …..
Jordan said he is not surprised that the health care issue is as big as Democrats apparently believe it is. These are the same Democrats who brought us Obamacare, without a single Republican vote. “I know what people in the individual and small group market are paying,” Jordan said. You’re a small business owner, you’re buying insurance for you and your family, you’re paying $10,000, $12,000 a year in premiums, not to mention the $12,000, $15,000 deductibles you have. Who can afford that? And, remember, when they passed Obamacare, every single thing they told us about that law, the Democrats, turned out to be false. I call them the eight lies, Neil. You — we have talked about this before. Like your plan, keep your plan. Like your doctor, keep your doctor. Premiums will decline. They will decline on average $2,500. They even been told us — Neil, they even told us — remember this? They told us the Web site was going to work. They told us that your information was secure. They told us these co-ops — so, everyone knows that is a mess. And yet Democrats want to expand all that, build on all that — all that? “I said this the other day. The left, they applaud Kaepernick when he disrespects the flag. They embrace Cuomo when he says America was never that great. They cheer on Maxine Waters when she says go harass the president, go harass anyone who supports the president. Jordan lists failure of the republicans to fix health care and secure the border. Notable reasons for the failure: The margin to pass legislation in the senate was razor thin and RINOs who backed crony capitalists voted with the democrats who no longer represent the working man. Career politicians in both parties do the bidding of the elite billionaires, wall street hedge fund managers,tech giant CEOs etc. (Bilderberg Group). Some junior democratic legislators are forced to comply with the party leadership rather than their constituents. Under Obama Care millions get free insurance who would no sooner give it up than a dog part with a “free” juicy bone. Democrats scared millions that they their insurance would be “taken away”. The brainwashed don’t realize that their free coverage is practically useless given many exclusions or conditions i.e. prohibitive out of pocket costs, and treatments listed as elective and not covered. People on the medicaid expansion plan are going to urgent care because the wait time to see a doctor is weeks out. Try to explain this hoax to people on these plans, and The-don’t-even-try-to-steal-my-bone-growl takes us back to Jordan’s frustration. I have wonderful coverage and contrasted my experience with the free insurance folks. Their takeaway is not that they are clinging to a broken system, but that heartless high income folks don’t care about the poor. On illegal immigration, millions of dollars pour in to support these caravans with the blessing of RINOs lining their pockets along with democrats. News Flash, there are great legislators in both parties (especially in the heartland) trying to break out of the stranglehold of “bought off” politicians. As our president supports the working man, we need to pay attention to which legislators support his vision. Then, support the legislators brave enough to take on the establishment and contact or call them (like Collins on Kavanaugh). I have had some success writing letters. Make your donations count by sending them to individual legislators who support our Constitutional Government. 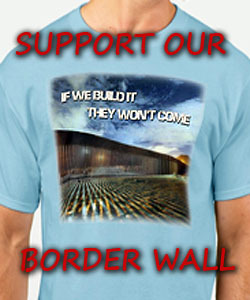 It will take a constitutional policy grassroots movement to turn our country around. Must Trust Trump! Socialism is lurking. but those LAWLESS COMMUNIST DEMORATS AND THEIR MINDLESS GULLIBLE IDIOTS are doing all they can to DESTROY THE GREATEST NATION IN THE WORLD. and we are being ATTACKED BOTH FROM WITHIN AND FROM WITHOUT. i still feel we need A BLOOD AND FIRE CLEANSING OF OUR REPUBLIC, AND ESPECIALLY TO RID US OF ALL THOSE CRIMINALS AND TRAITORS. and whoever WINS TOMORROW’S MIDTERMS? WE THE PEOPLE WILL NOT KNOW PEACE UNTIL THIS IS DONE. I agree with Jordan that these are the top issues, not to slight the other policies that were promised. If Jordan is not selected as Speaker I doubt much will get done. The snake McCarthy will be another Ryan and maybe even worse, if that’s possible. I am not very thrilled that Trump keeps giving McCarthy a thumbs up.